A1K9 are the exclusive UK and Eire agents for the world-famous Jinopo group of breeders, our associates in the Czech Republic. The Jinopo group was formed by Jiri Novotny and Jiri Pokorny, owners of the Jirkova Dvora and Jipo Me affixes. 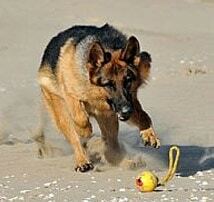 They have a long history of breeding high quality German Shepherds true to the original working type of dog. The emphasis is very much on breeding dogs of healthy and unexaggerated construction that are versatile with balanced drives. Jiri Novotny is the Czech national breed warden and a certified conformation judge. For twenty years he was the breeding director for the famous Z Pohranicni Straze (Czech Border Patrol) kennel, where he directed thousands of breeding’s and evaluated hundreds of litters, so you can say he knows a thing or two about puppies! He has also completed over 200 hundred titles with his own dogs, so sport training is very much on his agenda, as well as service training. 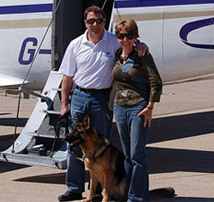 A1K9 has a long history of importing high quality animals from the Czech Republic and our association with the Novotny family has gone from strength to strength. We are delighted to be able to offer puppies from their well-established breeding programme. German Shepherd Pups Bred From Top Quality Working Line Parents That Will Have Been Stringently Evaluated and Health Tested. The prices of our imported, Czech bred, working line, German Shepherd puppies depends on selected breeding, necessary vaccinations, pet passport and delivery to A1K9 in South Wales as well as the very important early socialisation work in the Czech Republic. Every breeding will take place with certain aims in mind and we will be able to advise whether the emphasis is towards sport, pet or service but the overall goal is to breed versatile dogs. 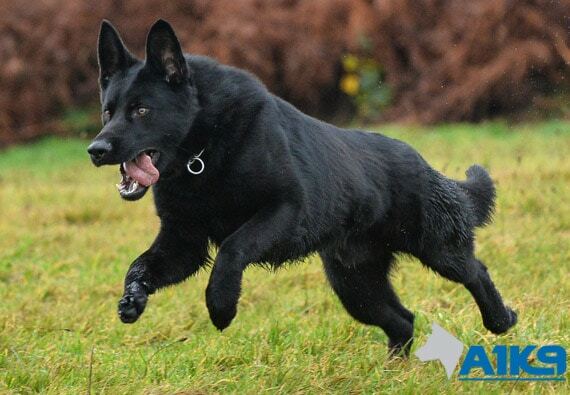 This plays a vital part in the selection for the best family and personal protection dogs. Current pet passport regulations permit puppies from 16 weeks old to enter the UK, so discerning UK enthusiasts are able to acquire top Czech bred GSDs at a young age. The prices of our imported, Czech bred, working line, German Shepherd pups depends on selected breeding. 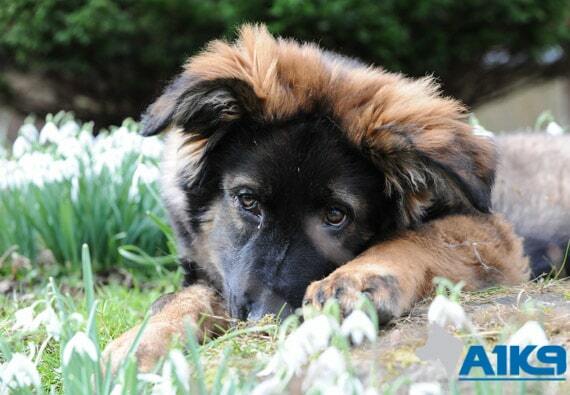 Necessary vaccinations, pet passport and delivery to A1K9 in South Wales is included in the cost. Great Breeding is Not The Only Ingredient in Turning Out a Great Dog But it Provides Good Solid Foundations. Every puppy will have an FCI export pedigree and you will be notified of the kennel name at the time of ordering your new personal protection dog. Most will be Z Jirkova Dvora or Jipo Me but other selected famous Czech kennel names will also be provided. We may also be able to offer some young adults to police as well as service homes, however we are only limited to these. 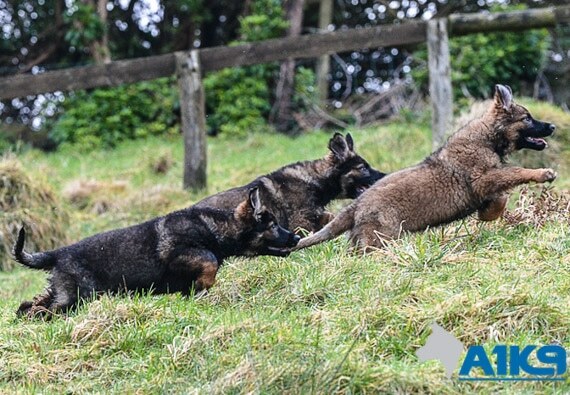 These protection dogs will be 12 months plus and have started in man work and tracking and have a good standard obedience. We may also be able to offer some young Czech working line GSD adults to Police and service homes only.